2019 Update: Since this article was first published, almost every camera on the list below has changed in price, some more than others. The rankings below have been updated accordingly. What Counts as an Entry-Level DSLR? 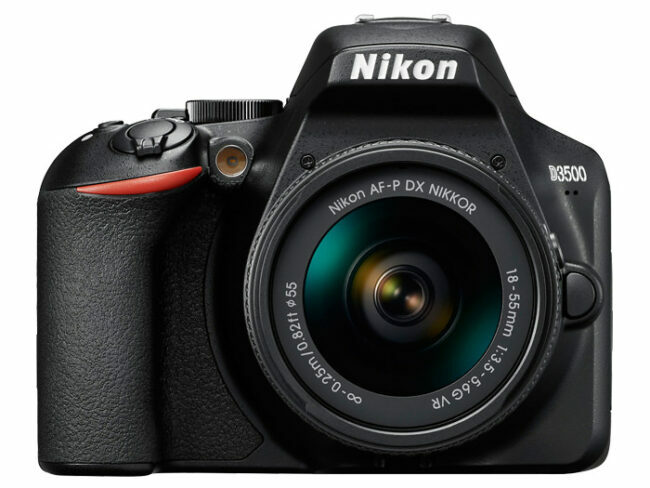 My first DSLR was the Nikon D5100, which is almost the definition of entry-level. But when I heard people actually call it entry-level, I was taken aback. It was a good camera! I had saved money and spent a lot of hours researching which one to buy, but pros nonetheless dismissed it as “consumer” or “amateur.” The few times I heard people call the D5100 a “prosumer” camera, I nodded in agreement. And prosumer is a ridiculous word. That’s my way of saying that the cameras on this list are still really good, even though the title of the article says “entry-level.” The category of camera doesn’t determine the category of photographer. Besides, I stretched the definition a bit just because I wanted to do a great top-10 list and needed to reach the quota. Other than a few older or obsolete DSLRs that are still sold new for some reason, this guide includes every current entry-level DSLR on the market; it’s the most comprehensive list you’ll find anywhere today. 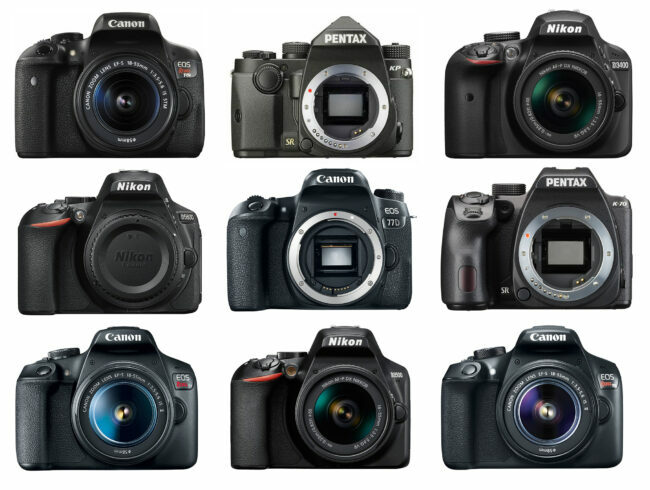 In total, I’ve ranked six DSLRs from Canon, two from Nikon, and two from Pentax. The overwhelming number of Canon cameras is simply because Canon’s lineup has more entry-level DSLRs at the moment. It’s not a sign of Canon favoritism (and you might notice that the bottom spot belongs to Canon, whoops). In fact, one camera from each manufacturer makes it to the top three. I didn’t plan that ahead of time, but it’s a pretty nice sign that each company is competitive in this space. Last, I have to mention my (somewhat boring) takeaway after testing several entry-level cameras this year: They’re all very similar in quality, without any real duds among them. The difference between the best and worst cameras on the list below is surprisingly small. Your individual needs – say, a desire to shoot video more than stills – could shift where each camera falls for you, perhaps significantly. Before jumping into the rankings below, take just a moment to heed a quick warning: Don’t buy that all-purpose photography bundle! Most of the cameras in this article, due to their price range, are targeted largely at first-time DSLR buyers. As a result, you can buy most of them as a bundle with lots of extra photography accessories. This sounds good, since it saves you some effort buying accessories separately – but the equipment included in these bundles is often quite overpriced. Here’s just one example. Right now, on Amazon, you can buy the Nikon D3500 with a kit lens for $400. Or, for $500, you can add two 32 GB memory cards, a remote shutter release, a bag, a flash, a filter kit, and two converters to turn the lens into a wider angle and a tighter telephoto. That sounds like quite a deal, right? But it’s actually very overpriced. In practice, the only useful accessories in that bundle are the memory cards and the remote shutter release (and maybe the bag). 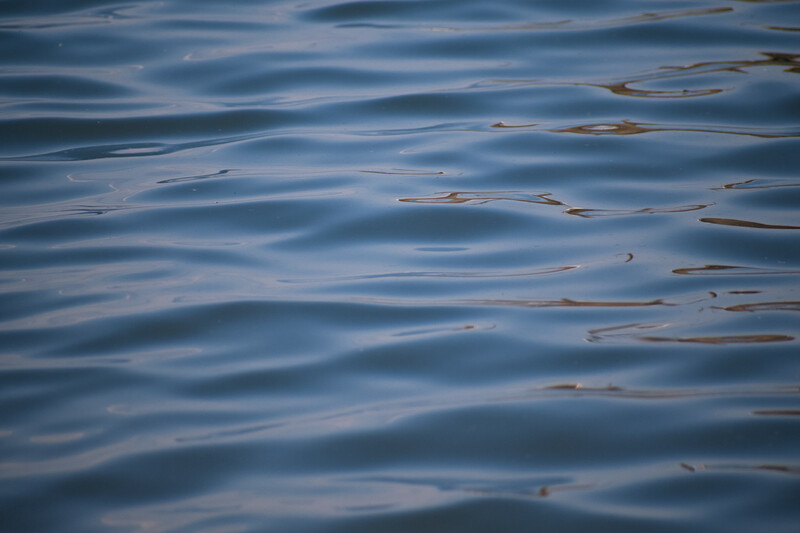 The filters are going to be low in quality, and as we’ve shown before, a bad filter clearly harms the sharpness and flare performance of your camera system. The wide angle and telephoto converters are just novelties; your image quality generally will be terrible when using either of them. And the flash isn’t automatic, just a cheap manual one. Instead, you can buy two better 32 GB memory cards for $8.50 apiece, a generic AmazonBasics remote for $8.50 (the other one is generic anyway), and a similar bag for $13. There, just saved you $60. This isn’t to say all photography bundles are low quality, but that it’s easy to get a bad one if you’re just starting out and don’t know any better. When in doubt, don’t buy the bundle, and get all the accessories you need separately instead. 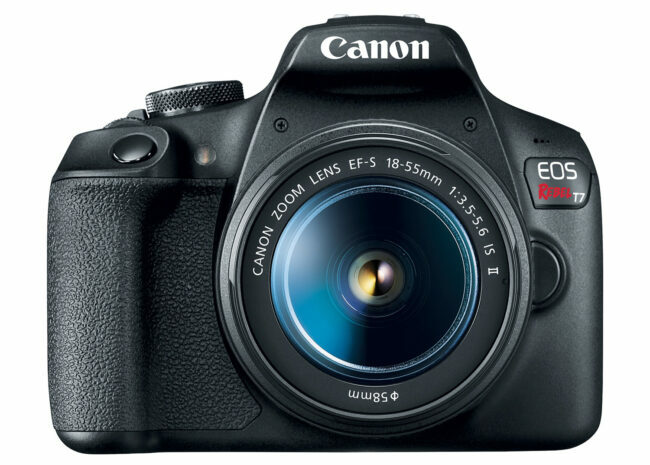 One of the only DSLRs on this list I wouldn’t recommend at the moment is the Canon Rebel T7 (also sold under the name Canon EOS 2000D or 1500D in some markets). The camera itself is quite new (from February 2018), but its specifications already feel outdated. The camera has 24 megapixels, 3 frames per second shooting, and a 9-point autofocus system. It doesn’t have a touchscreen or a tilt-flip screen for taking pictures at tricky angles. Canon has two different 24 megapixel aps-c sensors (with “aps-c” meaning that the sensor measures 22.2 millimeters in width). The Rebel T7 has the older one. So, you won’t get quite the level of image quality as in the newest aps-c Canon cameras – and we’ve found that even those lag behind Nikon’s sensors in low light. Nevertheless, this is still a high-quality camera sensor, capable of detailed photos in both daytime and nighttime conditions. In fact, every DSLR on this list has very good image quality, and the differences are mainly visible under exaggerated conditions. But at a retail price of $500 with a kit lens, the Canon Rebel T7 is more expensive or the same price as options that are better overall. For example, the Nikon D3500 is a better camera in essentially every way, and it costs $400. Even Canon’s own Rebel SL2 and T6i are just $600, not much more expensive, and they fix all the T7’s important flaws (and then some). If you have the Rebel T7, don’t despair; it’s a good camera, just not really priced according to its specifications. Canon seems to know that, too, and makes it tricky to buy the T7, despite it being the company’s newest entry-level camera. (You’ll likely have to buy directly through Canon’s website rather than a site like B&H.) But I will say this – despite the T7’s flaws, if you can’t take the photos you want with this camera, it’s unlikely that any of the DSLRs below will solve your problem. 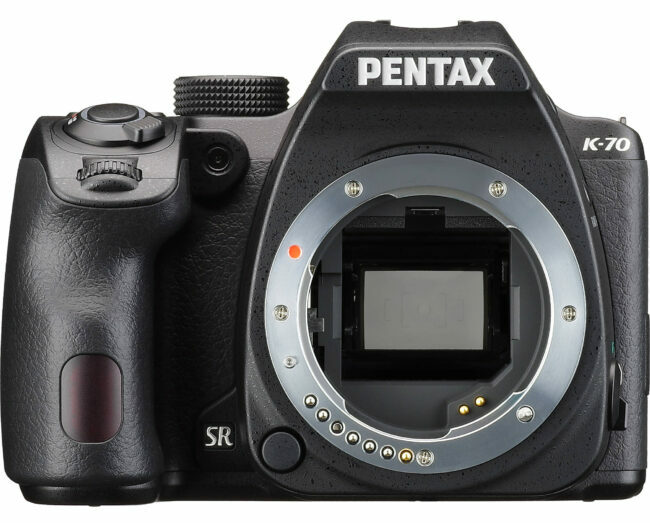 The 24-megapixel Pentax KP is one of the most advanced DSLRs on this list, positioned just at the edge of entry-level. It also has the highest-end control layout of all ten cameras here. You actually get three separate dials to change camera settings, which is more than can be said of most $3000+ professional cameras. So, why is this camera only at position number nine? It all has to do with value. The Pentax KP is $980 with an 18-55mm kit lens, making it double the cost of some other cameras on this list. Arguably, too, the less expensive priced Canon 77D has better core specifications, without compromising much on advanced controls. The $700 Canon T7i and $650 Nikon D5600 also beat it in core specifications, although they don’t have the same high-end layout. Even Pentax’s own K-70 matches most of this camera’s specifications, despite costing just $672 instead. If build quality and control layout are at the top of your priorities, and you have a bigger budget, don’t dismiss the Pentax KP entirely. 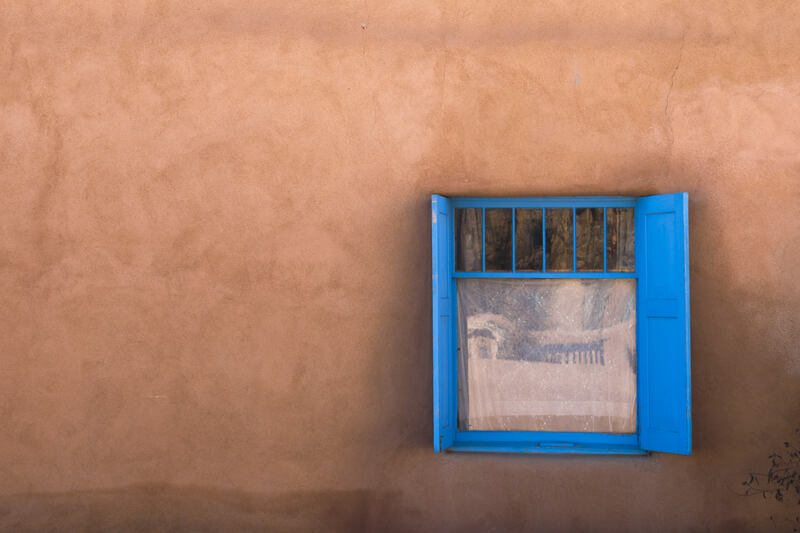 It’s still a strong camera – perhaps in the top three on this list if you ignore price. But when you take value into account, you can get more camera for your money with other options below. In practice, the difference between 18 and 24 megapixels is minimal, and both these sensors are otherwise quite comparable. But the T6 is a better value than the T7, having the same autofocus performance, screen quality, frame rate, and video specifications. The only reason I don’t rank the T6 higher on the list is that it still falls short in specifications compared to Nikon’s less expensive D3400 camera, and some other cameras below add worthwhile features without adding too much additional price. That’s not to say the T6 is a bad camera, but that it isn’t my top recommendation for most photographers. However, if you find a good deal on the T6, don’t hesitate to get it. Last year, around the holidays on Canon’s own website, the T6 was selling with two lenses – the 18-55mm kit lens and a 75-300mm telephoto – refurbished for $280. At such a price, the T6 would jump up higher than #8 and potentially be one of the best options on this list. For the same reason that the Pentax KP is placed at number nine, the Canon 77D / EOS 9000D sits at number seven. It is an advanced camera with an impressive control layout, and it includes almost all of Canon’s newest features as well. But it costs $850, second most expensive on this list. The 77D sports an excellent 45-point autofocus system in the viewfinder, and it has a tilt-flip touchscreen – whereas the Pentax KP has a tilt-only screen without touch sensitivity. 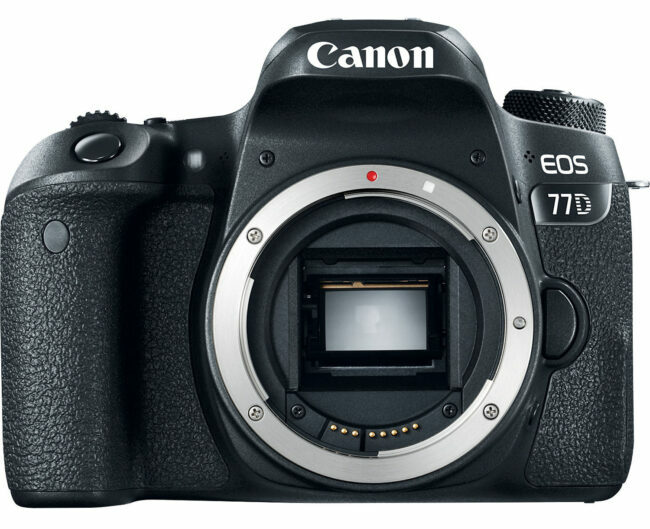 Perhaps even more important is that the 77D includes Canon’s famous “dual pixel autofocus” to focus quickly and accurately via the rear LCD screen (whereas most DSLRs mainly focus well through the viewfinder). It also has Canon’s newest 24 megapixel sensor for excellent quality images. Unfortunately, the $850 price is a steep asking point. You wouldn’t lose much by going with a camera like the Canon T7i, Nikon D5600, or Pentax K-70 – and you could save hundreds of dollars along the way. If you need the build quality of the 77D, don’t let me stop you, but at least consider the less expensive options before you make the leap. 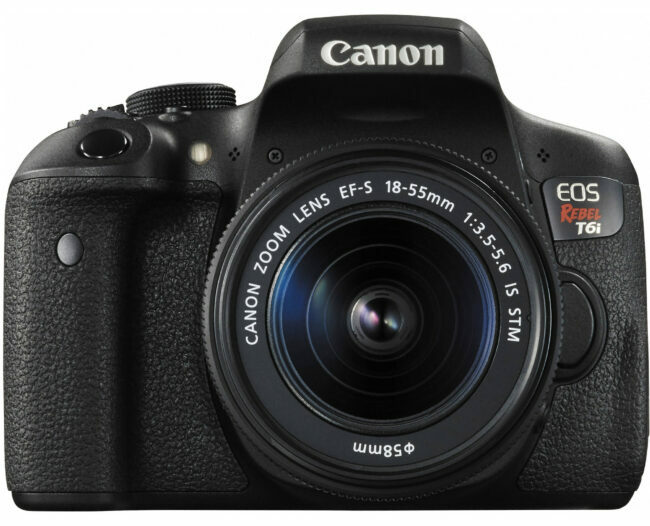 One good value in Canon’s lineup of entry-level DSLRs today is the Rebel T6i / EOS 750D, released in February 2015. Perhaps because of this camera’s age, Canon has been putting some impressive discounts on the T6i, which now sells for just $600 with a kit lens. This camera ticks a lot of the right boxes: 24 megapixel sensor, 19 autofocus points, 5 FPS shooting, and a tilt-flip touchscreen. The T6i does not have dual pixel AF, though, which does harm its prospects for video. And keep in mind that the 24 megapixel sensor is Canon’s older version, which doesn’t perform quite as well as its competition in low light (including the Nikon and Pentax cameras on this list). One camera with slightly better specifications, though, is the Canon Rebel SL2 from 2017 (ranked #3 below). Both sell for $600. The two cameras have similar specifications overall, but the SL2 is smaller and lighter, making it easier to carry along. It also has better battery life and Canon’s dual pixel AF, as well as 60 fps video shooting rather than 30 fps – not to mention the newer 24 megapixel sensor rather than the older version. The main advantage of the T6i over the SL2 is that it has 19 autofocus points versus 9, which will steer some photographers to the T6i’s corner, but I believe is not enough of a difference to matter for most photographers. Overall, I believe the SL2 is a better camera if you’re planning on a Canon, and it sells for the same price, too. 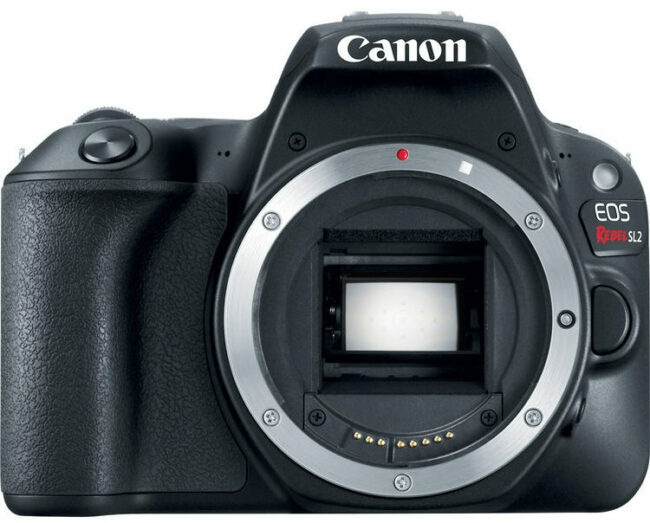 There is also a version of the T6i with a slightly more advanced layout called the Canon T6s. It has two dials and a top LCD, but otherwise is identical to the T6i. However, it sells for $650 body only (so you’d need to buy the lens separately), which means it is overpriced by comparison. I don’t think it’s worth considering unless you find a deal that brings it within $50-75 of the T6i in price, including a lens. Note that the list price of the T6i with a kit lens is actually $900, but it’s currently selling for $600 at both B&H and Amazon. I don’t know how long this price has been in effect, or if it’s temporary and seasonal – but at least for now, the T6i is a good value for photographers considering an entry-level DSLR. 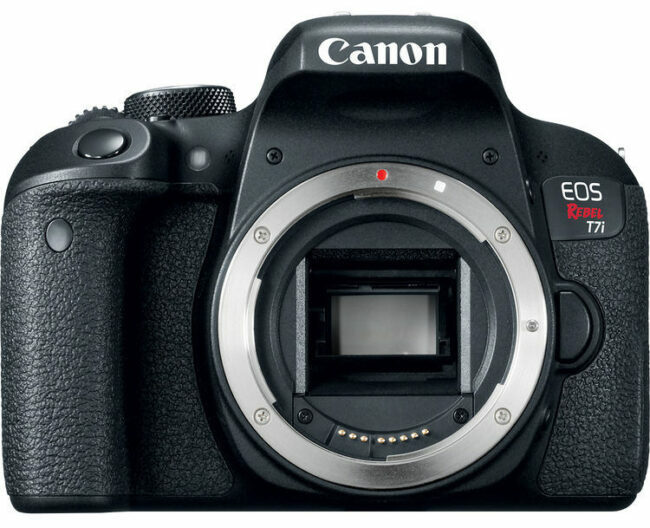 The Canon Rebel T7i / EOS 80D matches the 77D in essentially every single specification, aside from the advanced control layout (no second dial), and yet it costs $150 less at $700. For the price, you get all of Canon’s bells and whistles, including the new 24 megapixel sensor, dual pixel AF, and 45 autofocus points. This is a high-quality camera in almost every respect, and its specifications are versatile enough to be used for anything from landscape photography to sports and theater performances. I would strongly recommend the Rebel T7i if it weren’t for DSLRs in the $600-670 price range that match most of its top specifications. For example, before you settle on this camera, take a look at the Canon Rebel SL2 ($100 less at $600, matching most of the T7i’s specifications). The same is true of Nikon’s competing D5600 and Pentax’s K-70, which are arguably equal or better cameras at slightly lower prices. That said, if you find a good deal on the T7i, or its specifications seem perfect for you, go for it. This camera is a pleasure to use – one of my favorites from testing – with a great LCD and excellent kit lens. Not long ago, it sold for $850, and even then I could see a case for buying it. Every camera from here on out is what I’d consider a really good buy for the typical consumer. Even though the D3500 ranks fourth, it’s arguably the best value DSLR on the market today. As a result, it is often the first one I recommend to my friends who want a new camera. The D3500 is a mere $400 with a kit lens, at least at the time of publishing this article. (Prices can fluctuate with sales and rebates; check current D3400 price). And, what’s more, the D3500’s 24 megapixel camera sensor is excellent – one of the best aps-c sensors on the market today. If image quality is all you care about, the D3500 is equal to or better than every other camera on this list. It’s also the least expensive; go figure. In that case, why isn’t it ranked number one? A few things. First, although the D3500’s image sensor is fantastic, cameras are about more than just a sensor. Other factors like ease of use, autofocus system, build quality, screen quality, speed, and so on, also play a role. All of these are areas where the D3500 can fall behind some of its competition. To start, the camera’s LCD does not tilt or flip at all, and it’s not a touchscreen. Video shooters especially will want to look at something like the Nikon D5600 or Canon SL2 instead, which fixes those problems. The D3500’s autofocus system also has pretty low specifications, although it surprised me in practice with how accurate it was (that link goes to the D3400 review, which has the same autofocus system). Still, the D3500 only has eleven autofocus points in the viewfinder – simply not enough to track a subject around the entire frame. If you’re photographing something that moves fast, like sports or other performances, you might want a camera with a better autofocus system. Look at something like the D5600 or Canon T7i for good autofocus on a reasonable budget, or the Canon 77D or Pentax KP if your budget is a bit higher. The Canon SL2 / EOS 200D is a great camera, and tremendous fun to use. It’s tiny and lightweight, yet the grip is still comfortable, and it has some of Canon’s most advanced features (including the newer 24 megapixel sensor). 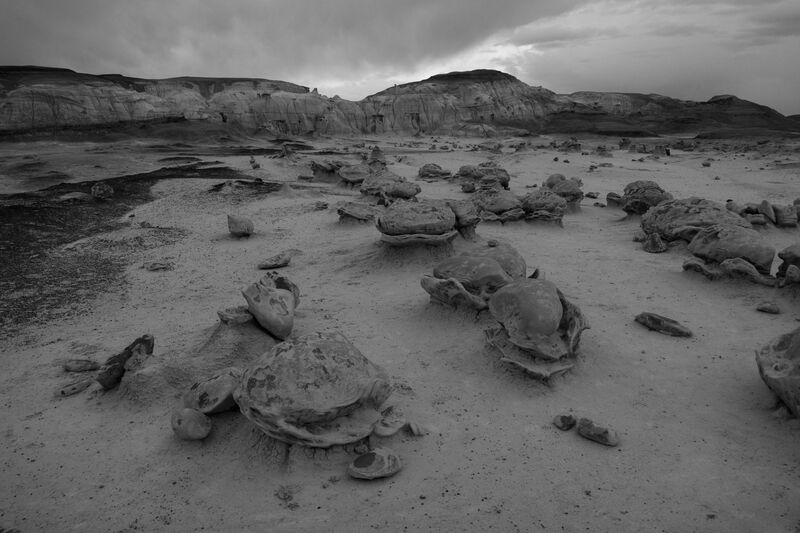 When I tested the Canon SL2 in New Mexico’s Bisti Badlands and Chicago’s glass-and-steel jungle, I came away with the impression of a very good camera for any photographer – not just for a first-time DSLR shooter, even though that is the SL2’s target audience. The SL2 has an excellent touchscreen LCD, with a full range of tilting motion for easy composition. And the 24 megapixel sensor is Canon’s newest, with excellent image quality, though it still lags slightly behind Nikon in low light (for the technically minded, no more than one stop of difference at high ISOs, based on our tests). Video users also will be happy to hear that the SL2 has dual pixel autofocus, the least expensive Canon camera to include it. The Canon SL2 recently got a discount bringing it down to $600, which, in my opinion, gives it just a slight edge over the Nikon D3500 in terms of value. Specifically, it adds a tilt-flip screen and dual pixel AF, making it a much more useful camera for video. I also prefer the kit lens that comes with the SL2 in terms of ergonomics and size. The two cameras are otherwise pretty similar, so if you don’t need these benefits of the SL2, save $200 and get the excellent D3500 instead. It only comes in 3rd because the #1 and #2 cameras are priced only a bit more, yet have better build quality (in the Pentax’s case) or better autofocus system and battery life (in the Nikon’s case). That said, the differences here are splitting hairs, so get the SL2 if it looks like it will work well for your needs. If you want a combination of top build quality, advanced controls, and a tilt-flip screen, look no further than the Pentax K-70. This is an excellent and overlooked camera for beginners, and it’s a good value at $672 (check current price). With a 24 megapixel sensor, 11 viewfinder autofocus points, and 6 FPS shooting, the K-70 is a highly capable camera with few downsides. It even has “hybrid AF” in live view, similar to Canon’s dual pixel AF and great for video shooters. Any issues with the K-70 depend upon your personal requirements, including how much you’re willing to invest in a smaller DSLR company. Canon and Nikon are certainly more established names in the camera business, with a larger camera and lens lineup should you wish to upgrade in the future. At the same time, Pentax now has two full-frame cameras (the K-1 and K-1 Mark II) with larger sensors and the company’s most advanced features, so you still have an upgrade path with this camera. The K-70 loses out slightly to the Nikon D5600, which has a noticeably better autofocus system in the viewfinder (39 points versus 11), making it more versatile for sports and other fast-moving subjects. Nikon’s more extensive camera and lens ecosystem is another major selling point, and not one that should be overlooked if you’re considering buying more gear later. Still, for photographers who put a priority on build quality and an advanced control layout – say, landscape photographers who know they’ll be shooting in bad weather – the Pentax very well could be the top camera on this list. Although 11 autofocus points isn’t much, it has almost everything else you could ask for, and it sells for a very competitive price. That holds true now. The D5600 doesn’t have the extensive control layout of the Pentax K-70, so it takes a bit more time to set some options like exposure compensation in Manual mode, Auto ISO minimum shutter speed, and focus point modes. If you need two dials or advanced weather sealing, get the K-70. But if you’re looking for the best autofocus system on this list, arguably the best camera sensor, a great lineup of native lenses, a tilt-flip touchscreen, and a lightweight kit overall, the D5600 should be your top choice. With an 18-55mm kit lens, it costs $650 (check current price), which is $50 cheaper than when I first published this article (where the D5600 was still ranked number one)! Although that price is more expensive than some others on this list, it’s quite reasonable given the quality of the camera you get. Even though the Nikon D5600 is number one on this list, remember that it isn’t necessarily the best camera for your needs. If you’d rather save $50 in exchange for a bit less autofocus performance and battery life, but gaining dual pixel AF, get the Canon SL2 instead. 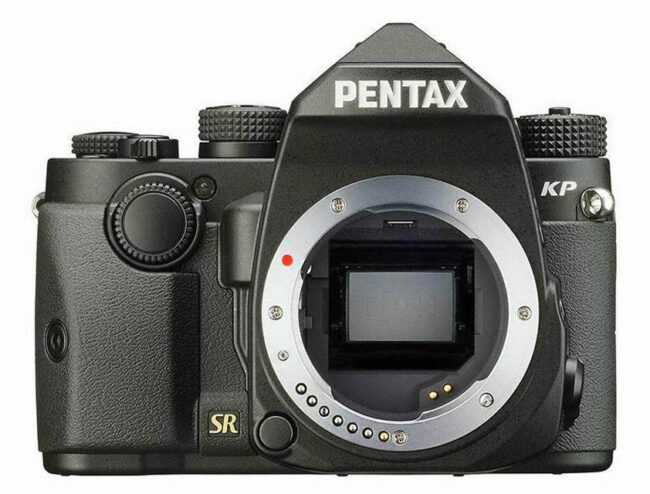 Or, if you want great advanced controls at a similar price, the Pentax K-70 is going to be the better choice. You could even pick a completely different option on this list if it fits your needs better, like D3400 for its impressive value or any camera you find on sale for a great price. The point is, you have plenty of options. That said, I hope this article gave you a good idea of where to start when you’re looking for an entry-level DSLR. There are so many cameras available today that things can get a bit overwhelming, but the list above encompasses nearly every current entry-level DSLR available today, as of late 2018, with the exception of some older Canon DSLRs still sold new. Keep in mind that the prices on these cameras fluctuate, sometimes quite a bit, and you might be able to buy one used or refurbished to save even more money. If you get a good deal on any of the cameras in this article, it could be worth taking. Again, there’s not a dud in the bunch – just some cameras priced higher or lower than they should be, based on their competitors. These might be “entry level” DSLRs, but they’re all good enough to let you take high quality photos. If you aren’t getting the pictures you want, it’s time to work on your technique instead! In summary, there are no entry level cameras, only entry level photographers. (Entry level is just a marketing term imho). Nice article and list. I concur that any among that list are highly capable cameras depending on the user requirements. There are no bad cameras these days. All true. That said, and even though this may not affect many potential buyers, it’s worth noting that a disadvantage of entry level Nikon cameras is lens compatibility: while you can attach any Canon EF or EF-S lens to any Canon APS-C camera and have full functionality, the same isn’t true of Nikon F mount lenses (e.g. there’s no AF with the D series). Simon, thank you for bringing up the lens compatibility issue! You’re quite right – the Nikon D5X00 and D3X00 series DSLRs do not have a built-in autofocus motor, which means that older Nikon lenses will not autofocus with these cameras (though they’ll attach just fine). You’ll need to use a newer lens instead, one with the “AF-S” or “AF-P” designation. The good news is that Nikon’s AF-S technology is 30 years old at this point, and all of Nikon’s newest lenses today are AF-S or AF-P (aside from specialty lenses like tilt-shifts). Of course, you’ll find some good deals on older AF-D glass, which Nikon D5600 or D3400 users can’t take advantage of. At the same time, I suspect that most first-time DSLR users will prefer Nikon’s newer lenses anyway for their needs, negating the issue. 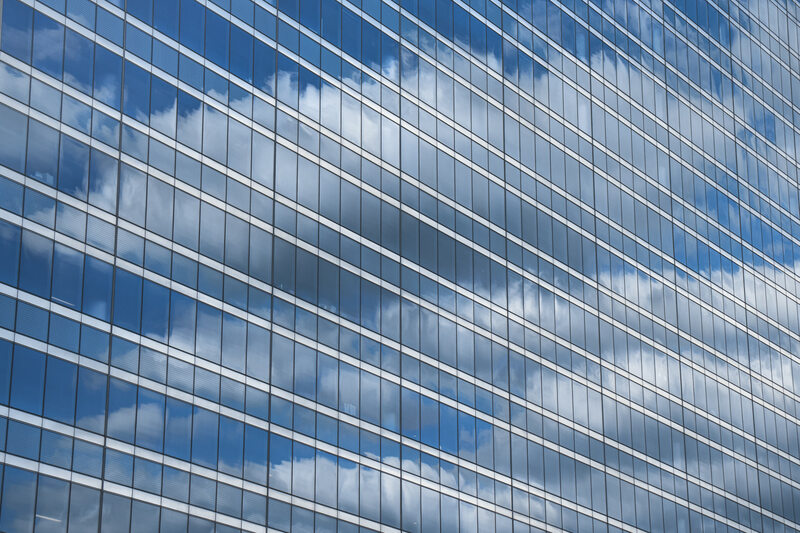 So, as you say, it might not affect many potential buyers – but it does affect some. I agree that the incompatibility with old AF-D lenses is an issue for the D3xxx and D5xxx series bodies, but as Spencer mentioned, those lenses are 15+ years old. All modern Nikon lenses work fine on the entry level bodies. Furthermore, I would suggest that Canon has a less flexible current lens selection than Nikon because if you buy an entry level Canon body with EF-S kit lens, you will not be able to use that on a full frame Canon body should you buy one in future. Whereas, DX Nikon lenses can be used with no problems on FX Nikon bodies using either the automatic DX sensor cropping, or accepting some vignette. Indeed, Canon have only recently tried to improve their problem by allowing EF-S lenses to work on the EF adaptor for the EOS-R MILC. Absolutely! I’m sure you’ve heard stories of photographers who earn a good living with their old, beat-up DSLR, maybe even an entry-level model. 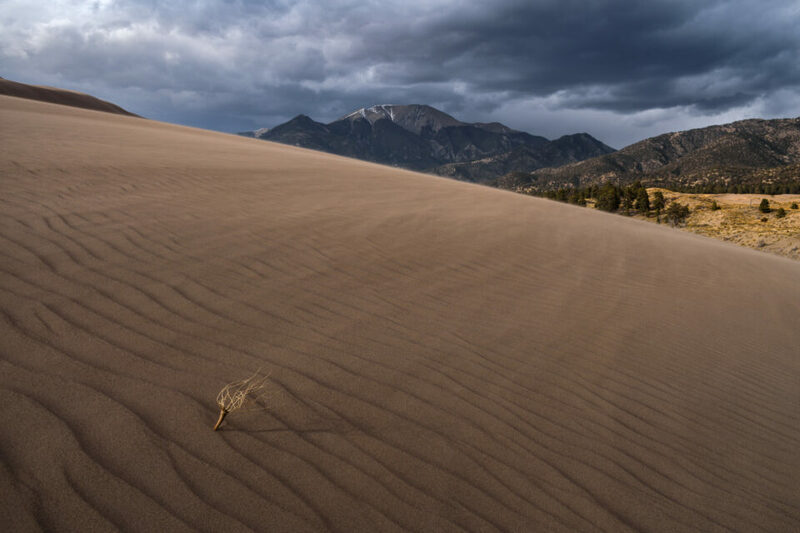 At a certain point, it’s a business decision; if you can get the same high-quality photos from a less expensive camera, and you already know the ins and outs of that camera perfectly, why spend thousands of dollars each year upgrading your equipment? That wouldn’t be possible for sports photographers at the Olympics, but it could be just fine for a professional senior portrait photographer working their local business. I was torn apart to choose a camera for travelling, and my choices were among the Fuji XT20; XT-2; and even the new XT-3, but my head was shouting that it didn’t make sense for me to throw thousands of dollars for a new camera lens system only for a few trips yearly, specially after investing a lot of money in Nikon lenses . I finally followed my head and bought the D5600,, a modestly price camera that I am using with my Nikon 10-24 F3.5-4.5 & my 50 F1.8. While travelling. I shoot only landscape and portrait so good tracking and frame rates are not big issues . So far much better than I expected for such a low price. It doesn’t replace my D750 or D500, but its much smaller and so far I am more than please with the results it. I also bought the Spyder camera holster to carry the camera all day long. I also use the colorchecker passport from X-Rite. Luc, that’s a great combo – the D5600 with the 10-24mm and 50mm f/1.8. I really enjoyed the D5600 when I tested it earlier this year, and I even tried to think of some excuses to get one for myself. It can’t replace the D750 or D500, you’re right, but I think it says a lot about this camera when pros or other advanced photographers buy one to complement their much more expensive kit. Not that the same can’t be said of other cameras on this list, of course – but the D5X00 lineup really does a great job balancing price and features overall. Simply based on Price, would you consider Sony A7 also in this list. A7 is nowhere close to Entry level. But some of the entries in this list are close to $1K. We can get A7 for that price. The price for the Sony A7 with the kit lens has come down to a very reasonable price. Personally I didn’t like the colors from the A7 and it was hard getting good colors even from raw files in post processing. 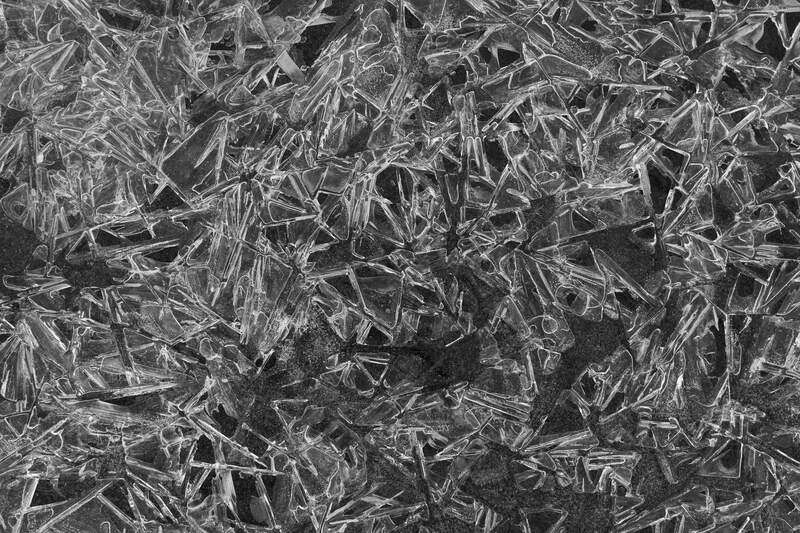 The biggest disappointment, however, was that the camera lost contact with the lens in cold or moist weather making it totally useless under these conditions. But if you like the Sony A7 color output and can get a camera without the issues I had, then it is a good offer. Right now, the Sony A7 kit with a 28-70mm lens is $998 from B&H, which really is a remarkable price for a full-frame camera. Would I consider it? Absolutely. That doesn’t mean I’d buy it, but it definitely is worth keeping in mind as an option. Sure, the list in this article compares entry-level DSLRs, but doesn’t mean that you need an entry-level DSLR if you want a well-priced camera. There are entry-level mirrorless options intersecting the same price ranges, as well as older advanced DSLRs selling for excellent prices today (such as the Nikon D7000 or D7100). You’ll even find high-end compact cameras like the Sony RX100 series selling for similar prices. All these options make the already overwhelming task of choosing a camera even more difficult! But the takeaway really is that there’s a camera at this price for pretty much any need. What need does the A7 fill? It would be a good purchase if you need the benefits of a full-frame sensor, and you’re willing to deal with the camera’s first-generation issues (low battery life, slow start-up time, fewer RAW options, and so on). That will be the case for some users and not for others. Personally, I’d probably prefer one of the less expensive DSLRs on this list and couple it with some higher-end lenses, but it also depends on your budget and individual requirements. Thank you very much Spencer for your detailed answer. That’s a very helpful article. I wish it had been around when I (finally!) switched to digital in 2014. But I wound up getting a Nikon D5300 (the contemporary equivalent of your #1 recommendation) anyway. Why that one? I got it because it was the highest-rated camera I could get using the Canadian Air Miles loyalty programme points available to me. I have since upgraded to a D7500, but I respect all those entry-level cameras (Nikon and non-Nikon). 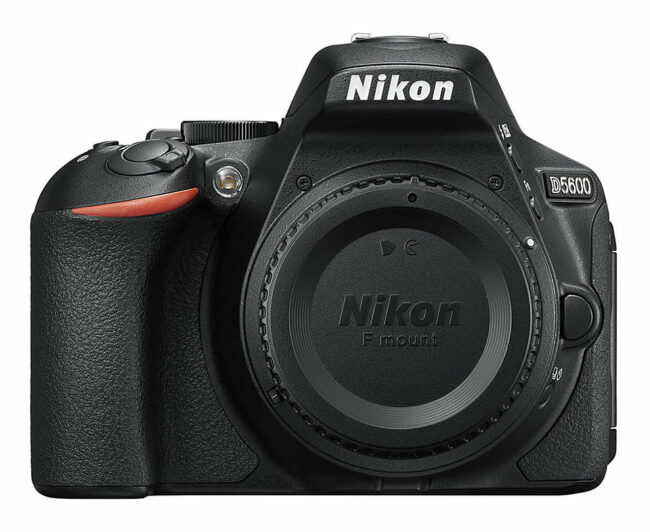 All my adult daughters have upgraded from cell phone cameras to Nikon entry-level DSLRs. They can produce amazingly excellent images. That Nikon entry-level series is something special – great prices, the best aps-c sensor on the market, and very good features overall. If I had to do it all over again, I think I’d still end up picking Nikon, just with more experience behind my decision this time. But stepping away over the years and testing cameras from other manufacturers has shown me that there really is no bad route today, and all these companies make excellent products. I tested the D7500 earlier this year and thought it was a great camera. I hope you’re enjoying yours as well; it certainly sounds like you are! An interesting feature of the D5300 is that in tests for colour accuracy in NPhoto, ChipFotoVideo, FotoHits etc, it comes out top of any Nikon and better than the other 24mp bodies, so they tweaked it to be a very neutral level SOOC. For $400 second hand it’s a great starter option. I have one….and i have accidentally left it my pocket and ran it through the wash…3 separate occasions. it still works. Yes, the image quality differences among these cameras are only visible under very specific conditions, and really only if you’re comparing the cameras side by side. I’d rather buy a DSLR based on things like ease of use, autofocus system, LCD quality, and so on – those matter more to taking good pictures in the long run. More controls are why I replaced my D3100 with a D7200 rather than another “entry level” camera. If I had done a bit more research I might have bought a Pentax, which appears to have better controls even on their inexpensive cameras. You forgot to mention, Pentax may be the smallest company but it has the largest line up of small, lightweight lenses specifically for APS-c that actually take advantage of the smaller format to save size and weight. This is the legacy of waiting so long to produce an FF camera. With the coming release of the DA*11-18, Pentax will have a complete line of completely APS_c lenses spanning from 11mm to 250mm, with a host of APS-c only prinmes in there as well.before you get into the FF telephotos. 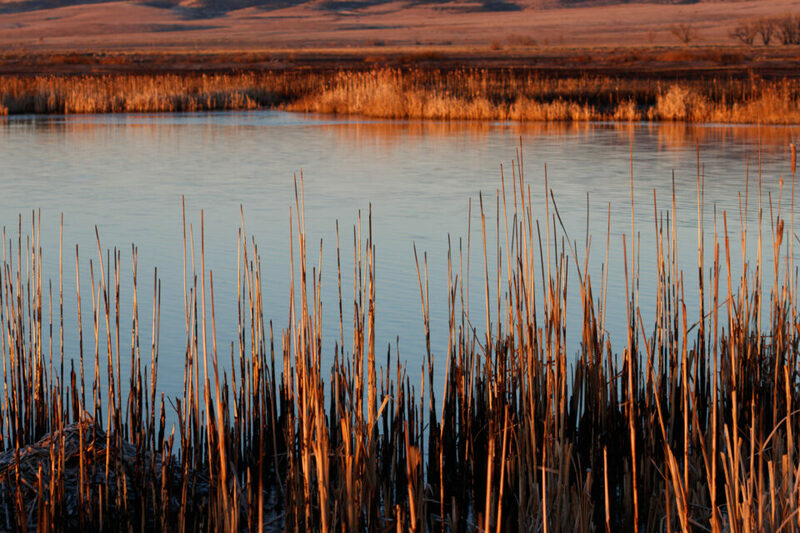 The other advantage being the huge legacy of 6 million legacy lenses, any of which will work with varying degrees of functionality on any Pentax camera. There’s as much legacy Pentax glass as there is Nikon or Canon, so while those companies are bigger now, that hasn’t always been the case. Mind you us established Pentax users have already bought all the good stuff, And since the release of the FF camera, the best of the legacy glass has become rare and expensive. 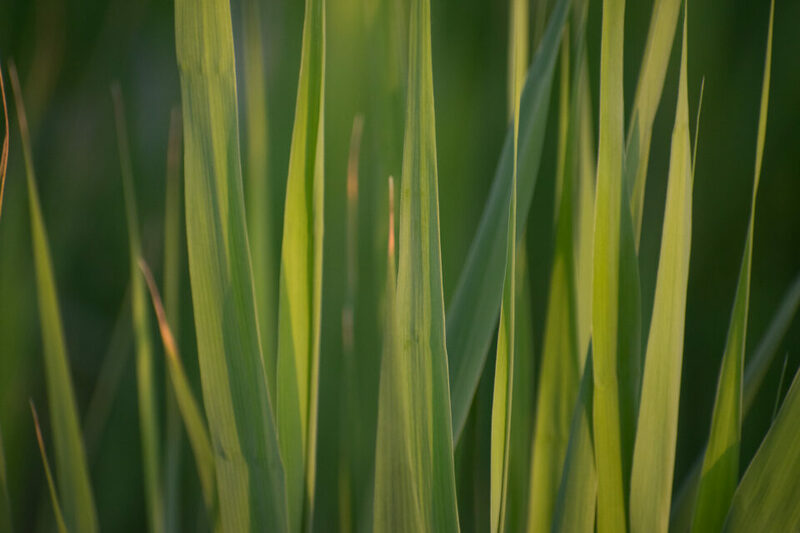 You are right, I should have clarified that – among the three brands, Pentax does actually have quite an extensive lineup of native crop-sensor lenses. And you certainly can use legacy glass on the Pentax camera as well to extend its capabilities (though Nikon and Canon each have huge lineups of legacy glass, particularly Nikon). Still, the overall lineups of modern Canon and Nikon lenses are more extensive than that of Pentax, particularly if you end up upgrading to a full-frame camera and want to take advantage of things like supertelephotos, tilt-shift lenses, and so on. Not a knock on Pentax, but the overall set of lenses and other accessories available for Nikon and Canon is simply larger and newer overall. This will only get Pentax and canon fans telling you why their favourite brands are better. and arguments as to which processor is better etc. BTW you mention in one of your replies that the Nikon AF-S lenses have been going for 30 years. I have a canon EF 35-105 lens that was manufactured in 1987, so the EF technology is just as old. It still works, noisy and slow, and is a push pull zoom, but is sharp as. I take it out only occasionally as spares are hard to come by. My first camera was the D5200, that was 5 years ago. I bought it after doing a lot of research and reading reviews online. Now that I’m using a nikon FX, i really miss the articulated screen on the D5200. I sold it in order to fund lenses (I’d love to keep it if I could). Many people i know buy Canon for their first entry level camera instead of nikon, simply because of the lens prices. A nikon 1.8G 50mm is about $200, canon’s equivalent is only $150, and can be found less. They have cheap 2.8 pancakes that cover the full frame sensor, Nikon has nothing like that while AF-D lenses won’t AF on D3000 and 5000 series. In general nikon is snobbish towards APSC and do not have a solid line up of APSC lenses that are affordable, or at least cheap 2.8 FX prime lenses. Their APSC-only 17-55mm 2.8, 12-24mm, are obscenely expensive. This is why canon has a high market share in the camera market despite getting frequently mocked for their sub-par releases. I know you can find a Sony A7 with a 28-70 kit lens for just $999, but when you jump onto full frame there’s a need to know that lens prices are at a different level. There’s really no point using up 95% of your budget buying a 5 year old full frame camera, and then getting stuck on the kit lens for the next 2, 3 years because you cant afford additional lenses. 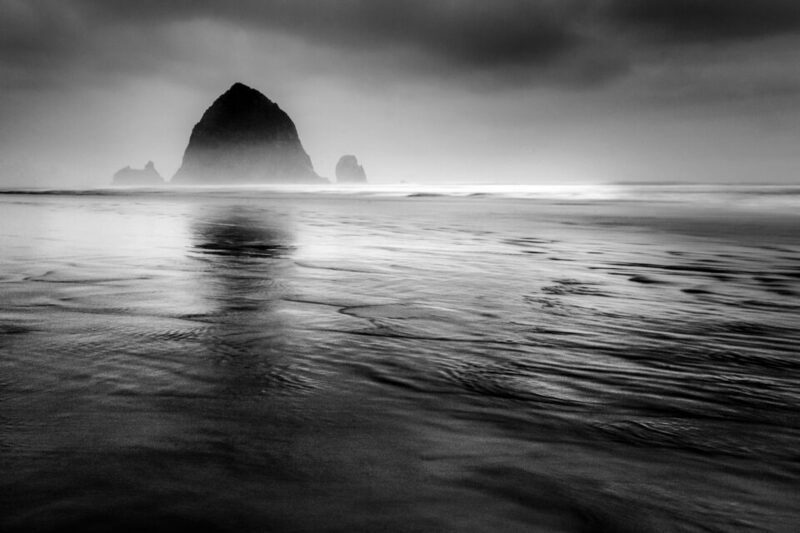 By the time you’re ready to buy a second lens your camera body is already very outdated. I enjoyed this article and it was very useful as I am trying to decide on an ‘entry-level’ camera for my wife. However as I am not in the US the names for the Canon cameras were rather confusing. They do not exist as ‘Rebels’ outside of the US (a marketing ploy I have never really understood). I have to keep refering to another list to find out which one you are talking about. In articles like this could you include both names at least the first time they are mentioned to help us non-US readers? Canon naming conventions are crazy! 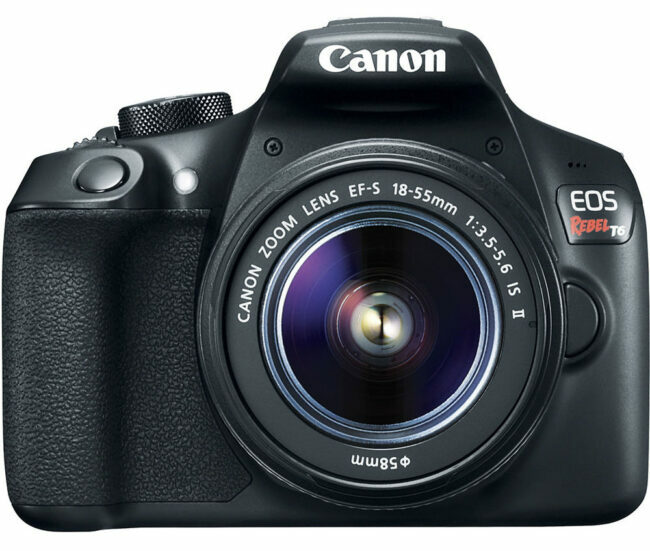 Some of these DSLRs are sold under three names in various markets, like the Canon Rebel SL2, EOS 200D, and Kiss X9 (respectively, the Americas, Europe/global, and Japan). So, thanks for the suggestion, and I’ve updated the article where applicable to make it easier for non-Americas readers. If you really need a small DSLR and don’t mind a plasticky body and tunnel like viewfinder, I would agree with the rankings in this article, especially as IQ is basically equivalent these days. However, at the average price of $750 herein you can find perfectly good second hand bodies from the class above, which will have more robust bodies, better battery life, wider and brighter viewfinders, higher FPS, better AF, better ergonomics, ability to work with all lenses and accept grips. In particular, the Nikon D7200, D700 (FX) or Canon EOS-80D can be bought for $800, or the Nikon D7100, EOS-7D can be bought for $500. These will provide a much better introduction to DSLR photography for anyone aiming to spend regular long days use. The entry level bodies really should just be considered for infrequent smartphone style use. Both points; the quality of second hand bodies and smartphone overlap of entry bodies; are of course the big problem for CaNikon. Could you please update the article with European names of the Canons? Thank you. Just did, thank you for the suggestion. The warning about bundles needs to be shouted to everyone that can hear. I thought I was a smart person and bought a bundle last year when I purchased my D5600 (great recommendation by the way). The bundle was trash. I did get a decent SD card and use the bag, that is about it. Even the tripod was absolute garbage and I only used it for a couple months before buying a Manfrotto. Bundles are pure evil. As for the D5600, the only real con besides lack of weather sealing is Nikon intends for us to use snapbridge to remote trigger which I did not like. I had to buy an old school remote with a wire input. It is not an ideal situation but it works. As for the older lenses I tell people don’t be scared of having to do many things manually. I bought a nikkor 50mm f/1.8 series E for $45 used. Great value, fun lens. Heck I bought a used D700 and I have that very lens sitting on it right now. Ditto on nut buying the bundles. Just a bunch of cheap poorly made accessories that end up in the trash. There is a huge profit margin in this stuff. I’m all about these dealers making a profit so they can stay in business but do it on an item of value. As others have mentioned the used market is a marvelous thing. I believe you can find a used Canon 6D for around $600. Sure, it’s got a pretty week AF system (only 11 points), but the 20Mp FF sensor still produces great images and the build quality is much better than most of these. I always recommend people consider buying used, with the warning that anyone who’s still new to photography should stick with reputable resellers like Adorama Used, B&H Used, KEH, etc. prices aren’t as good as say eBay or local listings, but there’s much more buyer protection. Once you’re more familiar with gear and can better spot potential scams or issues there are incredible deals to be had which I certainly wish I knew more of when I wa getting started into photography and a strapped-for-cash student. Also, I always recommend people spend their money on a better lens rather than a more expensive camera. Nice to see Pentax mentioned in the “Top Ten” in this review although the length of the write up on the k-70 seems a little short with no photo comparisons. (I am biased tho) as I love my k-70 just over a year old! You’ve made quite a list here and explained them well. Still, one very important feature neither you or your commenters mentioned is missing from all these cameras except Pentax: In Body Stabalization. If you like to shoot primes in low light, the Pentax stabalization in the KP and the K70 will give you at least 2-3 stops of ability to hand-hold for stationary subjects. This is a huge plus at least for me. I live at 57 latitude and shooting in less-than-ideal light is frequent. For others, perhaps it is not important. Thanks for the otherwise thorough write-up. I enjoyed reading the observations and feel that the conclusions are valid and insightful. A point that might be worth more emphasis is that many newer photographers might enjoy developing their skill at video along with still photography. Focus and stabilization are two major issues with video, and it seems that the Canon dual pixel focus system, along with highly effective lens stabilization may really put them at the head of a list like this, especially the SL2, T7i, and D77 models. Their kit zooms do have a good reputation for video application. I wonder if anyone else feels that video capability could be pretty important to some buyers? it takes great effort to rank and give this useful detailed information.. I just wanted to comment on the lens selection for Pentax, Canon and Nikon. Yes, both Canon and Nikon each have a wider selection of lenses overall. However, since Pentax has IBIS (in body image stabilization) as opposed to lens based image stabilization for Canon and Nikon, the lens issue turns around somewhat – especially on a couple of points. * Pentax has all 144 of their lenses image stabilized, while Canon only has 91 of their 304 lenses both AutoFocus and stabilized, and Nikon has only 88 of their 287 lenses AutoFocus and stabilized. * Pentax includes the in body AF screwdrive motor in all of their cameras (which allows any and all AF lenses to work), while both Canon and Nikon only offers this capability in their higher end models, thereby reducing their ability to use their older less expensive AF lenses on their entry level (manual focus only). I have the Pentax KP, and Nikon D750. Both are great cameras. The lack of Pentax lenses is a bit over stated, I have not had any difficulty finding modern lenses for the KP. And there are still tons of legacy lenses to be found at thrift stores and garage sales. My KP bag consists of a Tamron 90 f/2.8 macro, Sigma 10-20, Pentax 16-85, and Pentax 55-300 PLM. These are compact lenses that fit nicely in a small bag. I also have an arsenal of older Pentax compatible prime lenses. I sometimes use legacy 28mm and 50mm lenses when I want to keep my camera really compact. The KP has some features that I find really useful. 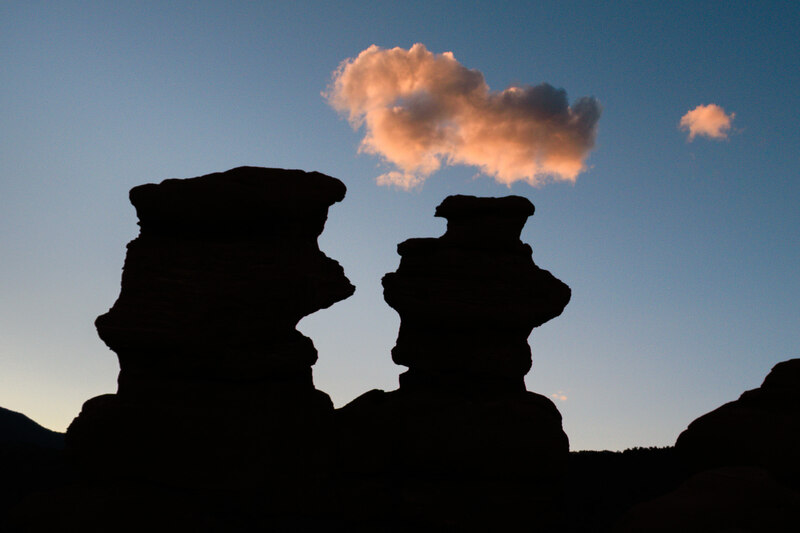 The exposure modes include combining multiple exposures in the camera and selecting how they are combined. For star trails I can tell it to take 40 exposures of 30 seconds and combine only the brightest of each. This produces nice star trails in one image, and the noise level is reduced to practically nothing. I will keep the D750 because I have some expensive long lenses for it, but mostly use the KP. I saw that someone mentioned that Pentax has in camera stabilization so that any lens you put on it, including vintage manual high quality glass, gets stabilized. But, I think it’s also the only one with Pixel Shift technology, which, when applied under the right conditions, dramatically increases IQ over the others on the list, leaving them in the dust as it approaches full frame quality. Also, the image stabilization of the KP is the newer, highly effective 5-axis type. Pentax’s IBIS – in body image stabilization, is used for several capabilities. IBIS can be used with any lens, any time, any condition. Pentax’s Pixel Shift technology makes use of IBIS and does best when used with no movement within the scene (wind moving leaves, etc.). IBIS is also used to support Pentax’s AstroTracing (a built in equatorial star tracking mount capability) along with Pentax’s Composition Adjustment capability (emulates a shift lens using any lens mounted), and Pentax has also eliminated the anti-ailiasing filter but provides an AA emulator (using IBIS) to emulate the effects of an AA. First of all, a great review! However, I’ve only just read it and already bought my camera two months ago. But an Interesting result for me insofar as your no. 1 choice I tried, as my son has one, and yes I was impressed, especially with its focusing capabilities. But I actually bought your no. 2 choice, the K-70. Why? Well, there aren’t many Pentax flag-waivers here in the comments section. And secondly, OK I’m biased, but I have used Pentax cameras since the eighties. So why the K-70? Well, it’s my first digital SLR and after reading untold number of (other) reviews, plumped for it based on its very advanced features for the price. And, I can use ALL of my Pentax lenses that I have collected over the years, plus two that I’ve recently bought on Ebay in Mint condition, even though they are over 30 years old. It is an absolute pleasure using these old lenses, albeit in manual aperture and focus mode, as they produce stunning, quality pictures. Lenses such as the Tamron 28-135 Macro, Pentax SMC 20mm f/2, 28mm f/2.8, 50mm f/1.7 and a 100mm Macro M f/4. This last one produces gorgeous macro shots with beautiful bokeh. And to boot, I have two modern Sigma lenses, 10-20mm and 18-300mm. So with the K-70, I have the best of both worlds! Great article Mr. Cox! As a father to be I am shopping around for a camera that can be used for taking every step of my daughter’s important moments in the next few years and I am very glad I found your article at the right time. I have basically no knowledge about the cameras. only know a little bit about the lens – I do know what 18-55mm and 200mm stands for – bigger the number further you can see. but that’s about it. I read your article fully, and carefully. I realised you said the best one is 5600, but you also said it has a competitor too – including the T7i? 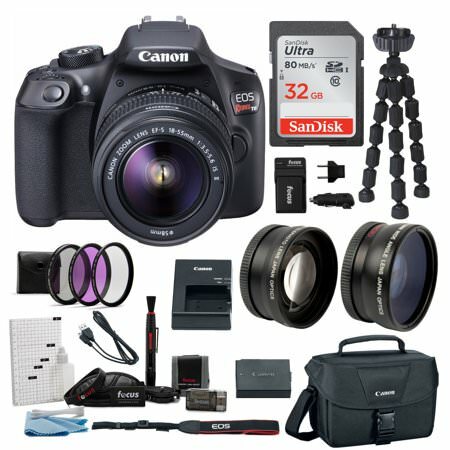 I found a deal at best buy Canada – Canon EOS Rebel T7i DSLR Camera with 18-135mm Lens & Camera Bag for 999.99 dollars Canadian. is it worth to buy it? or maybe there is a better deal than this? I really don’t know. all I can compare is the price and the lens numbers. and I am so sorry I have never heard about the Pentax brand before. I do kNow leica though. My plan is use the camera to take some “artist picture” shots. with just ONE lens. 18-55 is common but I don’t like carry two lens here and there and switch over. one bigger lens is heavier but still lighter than two, but that just my thought. my concern is maybe one big lens won’t perform good when I have to take some close pictures? any suggestions will be much appreciated. Happy new year to everyone. I was comparing the cameras all day long and now I am eyeing on the Pentax k70 on Amazon with a 18-135 mm lens included for about 1200 dollars. the main purpose of the camera will be focus on my daughter and my wife, plus over here up north we are able to see the northern lights quite often. so it seems like Pentax k70 or KP fits me just great? only concern I have now is I really don’t know much about this brand, and this 18-135mm lens I don’t even know if it’s Pentax made. will I regret if I go for this camera deal? I don’t know. The Nikon and the Canon you’re considering are both smaller and lighter cameras with touchscreens and slightly better autofocus systems. Nikon has the top battery life and best focus system of the group (good for action). The Pentax is a larger, more rugged camera with more advanced controls and a slightly faster frame rate (also good for action). So, which one will be best for your own needs depends on how much you value touchscreen, small form factor, and more autofocus point – versus higher frame rate and more advanced controls in a rugged camera body. I hope this helps narrow things down a bit! Hello again Mr. Cox, eventually I bought the Pentax K-70. my friend has a Nikon so I would like to try out a different one see which one is better. almost bought a Sony A7R but I did think twice – what I really need are mostly for portrait. so eventually i bought the K-70 with only a 18-55mm lens. I don’t think I will put my daughter 200 yards away then try to catch one of her smile. lol. your review is fantastic, saved me a lot of time and gave me a first lesson of the cameras. very much appreciated. wish you and your family have a wonderful 2019! Great decision, the K-70 is an excellent camera that will help you capture the moments you have in mind. I specifically upgraded my Nikon D5100 several years ago to a Nikon D7000 (which has the same image sensor) for the sole reason of getting a more advanced control layout – in the same vein as the Pentax K-70. I’d happily make the same decision again today. And check Photography Life’s homepage over the next few days (yeah, of course I’d say that, but there’s a reason!) – we’re a couple days away from compiling our main tutorials for photographers into one guide, which you might find useful if you’re working on getting the hang of your new DSLR. For those that are new Pentaxians buying the K-70 (I upgraded recently from K-30 to the K-70) the glass (lenses) that really shine are the ‘Limiteds’ and * labelled lenses. Almost all I use are the HD DA15 mm f4 Ltd (tiny but superb image quality) and the HD DA 20-40mm f2.8-f4 Ltd (astounding image quality for a zoom and weather resistant). The ‘Limiteds’ are expensive but you get what you pay for, they are beautifully made and have a full metal jacket. Pentaxians talk of ‘Pentax pixie dust’ regarding the Limiteds, the images just look beautiful. The 18-55 (I owned it) and 18-135 lenses are not in the same league but good enough for starting out. The K-70 and KP have an accelerator processor which makes for very little noise at higher ISO settings. All my Pentax cameras had IBIS and it is brilliant, I’ve handheld landscape shots using 300mm lenses at 1/60sec shutter speed and can see church spires 75 miles away when pixel peeping. The K-70 IBIS is rated as 4.5 stops. The only Nikon camera that has IBIS is the new Z range which cost 1000’s. Another K-70/KP feature not mentioned is wi-fi, it works with ‘Image Sync’ software so that you can remotely control the camera via phones/tablets. You can select AF points, operate shutter etc. while viewing Liveview on your device from inside your tent/shelter/house whilst the camera is outside. Can be good for stealth and not spooking birds you wish to photograph etc. The astrotracer function works with the O-GPS1 module mounted on the flash slot so the sensor rotates with the Earth to ‘freeze’ the stars. You should see the astrophotography achieved with this function, it is amazing! Pentax UK replaced my first K-30 camera free of charge and outside of the 2 year warranty period after water got into it so they stood by their weather resistant claims. Wow, your website has given me all kinds of great information about entry level cameras and the average price range, as well as great advice, for which I am very grateful. I am definitely a camera newbie, barring my usage of a very basic $100 digital camera. I am hoping to travel to Iceland and northern Europe this summer, specifically Norway. and then branching off to Germany, the Netherlands, Belgium, Austria, etc.. Of course I want the best value for my money, because I won’t have a huge amount of extra BUT I need a very simple camera to operate (because I am technologically challenged when it comes to anything more than the basics), and I also want to take beautiful, memorable pictures of all those beautiful countries. Your website is invaluable to me. I know I will still have some choices ahead of me, but your pricing advice regarding what to buy and what not to buy (eg-a whole camera kit) is so much appreciated, because I know that I would likely lose or misplace all the small pieces, especially when carrying it around and taking it in and out of a bag plus, knowing me, I will either forget what an extra piece is for and how to use it. I know myself well, as you can tell, although I will try to take a class before I leave for Iceland / Europe. I thank you so much for publishing all the information, and I look forward to examining it much closer so that I go into a camera store and have some knowledge of what I want and need. Just one question……are the prices you mentioned on this website in US or Canadian dollars please. Thank you very much. I am definitely bookmarking your website. Thank you for the article. It has helped me narrow my options down, however I am very torn between two cameras: the Nikon D5600 and the Nikon D3500. Basically I want a camera which I will use for landscape in the beginning and then use a telephoto lens in order to make more detailed photos of animals. The two camera have a few differences: the D5600 has a touchscreen and more autofocus points for example but the D3500 is lower priced. Considering all factors which one of the two cameras should I go for?